In August 1947 British India won its independence from the British and split into two new states, India and Pakistan (East Pakistan subsequently became Bangladesh), that would govern themselves. The Partition of India, as it was known, created a huge refugee crisis with millions of displaced people and the level of violence and loss of life prior to and after the Partition has caused reverberations over the years, with hostile relations between India and Pakistan continuing to this day. 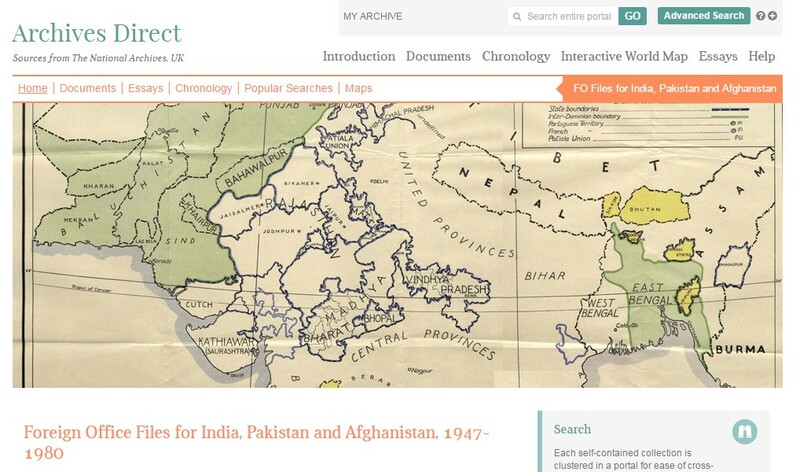 With the 70th anniversary of the Partition of India being marked this month I’ve pulled together just a small selection of Library resources that will help you explore the Partition of India further. The Library subscribes to a large number of online newspaper archives that will allow you to see what events were being reported on at the time and how they were being reported. Read full text articles, compare how different newspapers were covering the same issues and stories, track coverage from the start of the Indian independence movement in the 19th century until post-partition. Screenshot from The Times of India. 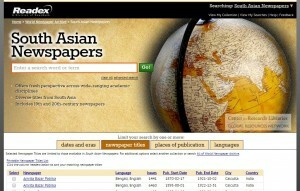 The Library has access to the online archive of The Times of India, which covers the period 1838-2007. The Times of India is the world’s largest circulation English daily newspaper and, as would be expected, is particular valuable for its coverage of key historical events in India, such as the Partition. But how does this compare with how newspapers in the UK were reporting on it e.g. The Times, The Guardian and The Observer, The Scotsman, etc., or how international newspapers were reporting on events e.g. The New York Times, Washington Post, Japan Times, etc?